And the answer is . . . (wait for it…) YES! As parents (myself included), don’t we “force” our child(ren) to go to school, brush their teeth, and go to bed at a certain time? If our child said “I don’t want to go to school”, do we say, “OK, sure you can stay home…no problem!”….NO! We say, “Sorry honey, school is good for you and you’ll thank me one day”. I know what you’re saying, music lessons are not part of the core subjects needed for a child to earn a living…or are they? With all the studies that have been done on the effects of music lessons on the brain (which I could discuss in a 10-page post), you would think schools would put more importance on music education. But wait, schools are CANCELLING music education for lack of funds (or they say). So that leaves parents with the task of taking music lessons into their own hands and signing up for private music lessons. I know there are families that are unable to afford music lessons, which greatly saddens me, because I think every child should have the opportunity to learn and study an instrument. And sadly, a lot of parents that CAN afford music lessons, allow their child to quit after just a few lessons. And many blogs I’ve read tell parents not to “force” their child to take (or continue) lessons if they’re not interested. In my opinion, that’s bad advice because most children are going to say “No” to studying anything if given the chance. But are we doing our child a favor by allowing them to quit after a few lessons, or not start at all? Are we teaching them it’s okay to quit when something is difficult? Are we taking away the chance to teach the child how to stick with something that takes longer than 30 seconds to acquire a skill for? Are we taking away an opportunity that could be great for them as adults? In my over 30 years of offering music lessons and speaking with thousands of adults, I hear two stories: “I wish I could have taken music lessons as a child”, or “I wish my parents wouldn’t have let me quit!” Now the first story is sad when a child that WANTS to have the opportunity to learn to sing or play an instrument and can’t, but even sadder is when an adult regrets having quit lessons, and wishes s/he could enjoy the gift of music now in his/her life. 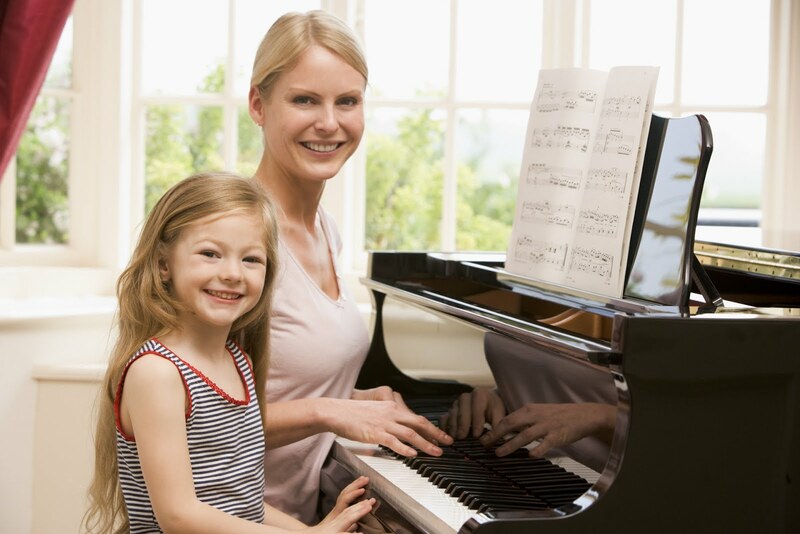 I believe it’s never too late to learn an instrument, but there are advantages to learning music as a child while they’re in the early development. And you never know what a child could have done with the gift of music in their life as they turn into an adult. But without the opportunity, we will never know! Now, I understand that music is not going to be every child’s “thing”. In teaching hundreds of students, 99% of them will never use music as a career in his/her life. Is it still a great thing to offer them lessons? Of course! Even though it may not be a chosen career, it could have a great impact in whatever career they DO choose. Music lessons have so many pieces of the pie that are great tools for most occupations; from mathematical skills, discipline, creativity, social skills, and most importantly, confidence. When a student learns to master singing or playing an instrument, which takes a lot of time to acquire, it gives the child confidence and takes away the fear of learning other new things. Since most of the population never learn to master music, it gives a student a special pride knowing s/he has accomplished something that most people never achieve. That can make the difference in a child’s choice of occupation and determination to go far in life. When my two oldest sons were in middle school, I “forced” them to be in my keyboard class I was teaching at the time. It was a year-long (the longest class I EVER taught…), and they begged me to quit almost the entire time. Of course I said “Not on your life will you quit my class!” It paid off! Years later, my oldest son thanked me for NOT letting him quit, and he now uses what he learned for a career in music and recording. Remember when I said they’ll thank you one day? It really does happen, you just have to be patient. I know what you’re saying, how do you get your child to stick with it? One thing I suggest is giving a time frame for completing the lessons if s/he is wanting to quit. If your child has only just started the lessons (and usually that’s when they want to quit because it’s difficult at first), you can tell them they’ll be taking lessons for an X amount of time. I suggest a year for a beginner before letting them quit, because it normally takes from 9 months to a year to get beyond what I call the “beginner’s hump”. After about a year, the student will develop a skill that makes it more fun to sing or play an instrument. At that point, you won’t have to try so hard to make them continue, if it’s something they enjoy learning. If it’s not their cup of tea, then stopping the lessons is appropriate at this time. At least your child will know what they DON’T want to do in life. Another complaint I hear (and hear often) is their child won’t practice. I think this is the worst reason for parents to cancel their child’s music lessons. Do you take a child out of school because they won’t do their homework? 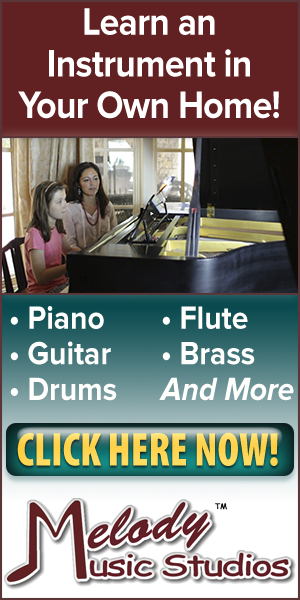 Practicing is actually the part of music lessons that I believe helps build the discipline a child will need in life. I have written a Practicing Tips article that give ideas on how to practice that is helpful to parents. The main suggestion I have is scheduling practice times, the same as the lessons are scheduled to become a part of the child’s routine. It could be before or after homework, dinner, first thing in the morning or when coming home from school; whatever works best in his or her schedule. Once it’s a routine in your child’s life, it won’t be forgotten or become a shouting match to practice. So, the bottom line is: Parents, don’t be afraid to be the parent! Your child(ren) will thank you as an adult when they realize you did what was best for them, and not what made you parent of the year! After all, that’s what your job is, to offer the most opportunities for your child(ren) to create a human being that will be the best that s/he can be. K.K.